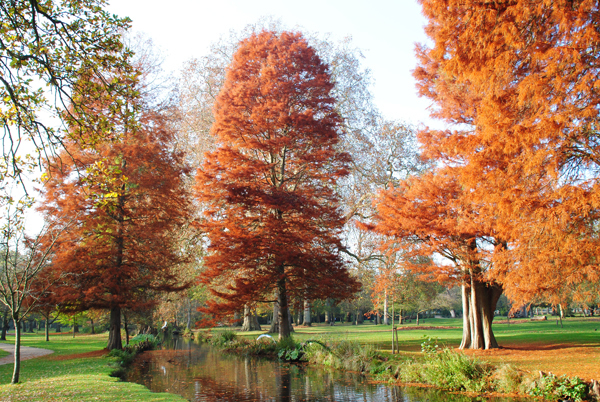 Autumnal colour on display in Bushy Park, south-west London. For more on the history of the park, see our earlier post here. • This weekend London host’s the 10th Liberty Festival, a showcase of deaf and disabled artists. Free events – including live music, dance, street theatre, film and cabaret – are being held at several locations across the city over Saturday, Sunday and Monday, including in Trafalgar Square, the National Theatre, South Bank Centre, BFI Southbank and Picture, the Mayor of London’s Live Site at Potters Fields Park next to City Hall on the south bank of The Thames. Highlights of the event – a centrepiece of the Paralympic celebrations – include a “cabaret showcase of comedy, film and music” at Royal Festival Hall on Saturday, and a “jazz, blues and R&B spectacular” at BT London Live Trafalgar Square on Sunday. This year’s event, produced by the Mayor of London with Greenwich+Docklands Festivals, coincides with Unlimited, the London 2012 Festival’s showcase of disabled artists. For more details, see www.molpresents.com/liberty. For more on BT London Live Trafalgar Square, see www.btlondonlive.com. • If you go down the woods (read Royal Parks) today…you will find a Teddy Bear’s picnic! 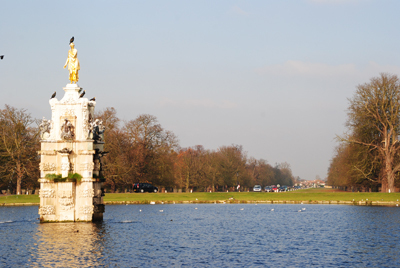 Royal Parks is inviting children up to the age of 12 to attend three Teddy Bear’s picnics it’s holding in Richmond Park and Bushy Park this week. While one event has already gone (it was held yesterday), there’s still two to go – one at the Kingston Gate Playground in Richmond Park from 11.30am to 3.30pm today, and another at the Bushy Park Playground between 11.30am and 3.30pm tomorrow (Friday). Both afternoons feature free craft activities, games and a “best dressed ted” competition. For more, see www.royalparks.org.uk. • Tragedy on the Thames: Princess Alice Disaster. This talk at the London Metropolitan Archives looks at an event which took place on 3rd September, 1878 when a day trip to Rosherville Pleasure Gardens in Gravesend turned to tragedy with more than 650 people dead after a collision on the Thames. The talk will discuss the coroner’s inquests and witness accounts before looking at some original documents held at the LMA. The free event is held on Monday from 2pm to 3pm. Booking essential (020 7332 3851). For more on the LMA, follow this link. • Westminster Abbey has unveiled a new website showing how the spectacular Cosmati pavement was brought back to life in a two year restoration project. The 13th century floor mosaic, which covers the floor in front of the High Altar, was hidden under carpets for more than 100 years before the restoration work was carried out. The new website features more than 40 films showing all elements of the restoration and interviews with experts about the pavement as well as an interactive map of the pavement. For more, see www.westminster-abbey.org/conservation. You can also see our Treasures of London article on the pavement here. • On Now: Animal Crackers – A Cartoon and Comic Bestiary. This exhibition at the Cartoon Museum in Bloomsbury features characters including Mickey Mouse, Wallace and Gromit, Fred Basset and Rupert Bear as well as icons like the American Eagle, Russian Bear and financial Fat Cat and joke cartoons from publications including Punch, Private Eye, The Spectator and many national newspapers. More than 140 cartoons, caricatures, comics and graphic novels, created by more than 60 artists, are included in the display. Runs until 21st October. Admission charge applies. For more, see www.cartoonmuseum.org.